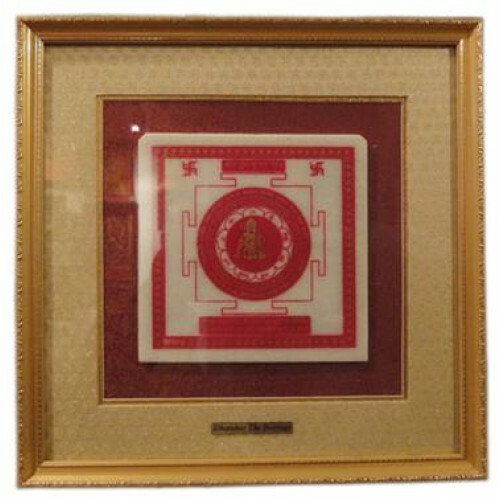 Shri Hanuman Yantra Shila YantraDimension: 10 x 10 Inches Approx.This yantra repres.. This yantra represents Lord Hanuman, those who worship this yantra are blessed with power, authority and vigor, strength of mind and body and immense protection . Also beneficial for those who have malefic Saturn and Mars in their chart or Horoscope . Worship of this Yantra regularly will give the devotee success in anything they desire. Hanuman Yantra is very auspicious and useful in business success also. 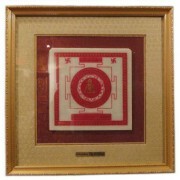 This yantra is also beneficial in danger of enemy, tantra-mantra, court-cases,fear of anykind, disasters and misries. Mantra : "Om Sri Hanumante Namaha"
room or in the north-east place of the home.